Bright, colourful, and encouraging. This floral coaster is a vibrant reminder that in God's presence there is a lasting joy. Great as a pick-me-up for a loved one. 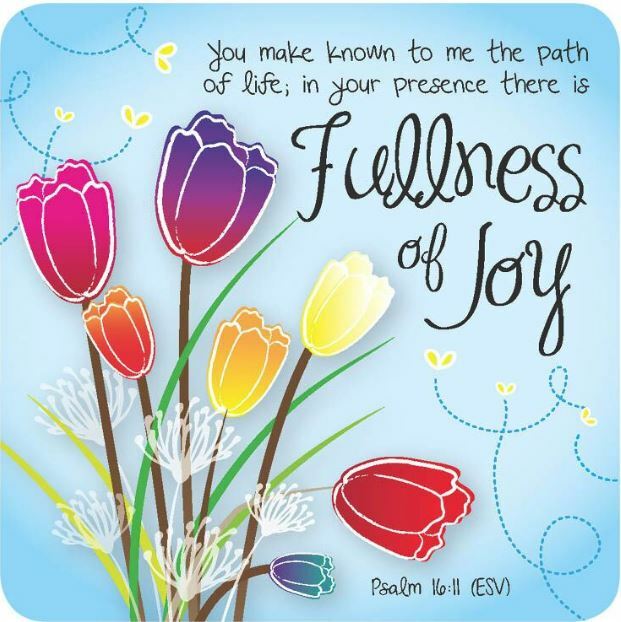 "You make known to me the path of life; in your presence there is fullness of joy. Psalm 16:11 ESV"
A great faith-friendly gift for encouragement. Fullness of Joy Coaster was published by Just Cards in September 2018 and is our 710th best seller. The ISBN for Fullness of Joy Coaster is 5060427975522. Be the first to review Fullness of Joy Coaster! Got a question? No problem! Just click here to ask us about Fullness of Joy Coaster.